Bohol Dayo Hill Realty Inc.
House and Lot in a nice small subdivision with seaview. Bohol now is discovered as a mayor tourist destination of the Philippines. dive spots the center of Bohol´s tourism development. airport (1hr to Manila), seaport (2 hrs to Cebu), shopping malls, schools, hospitals, etc. who enjoy the steady ongoing improvement of food supply. Here are many things already available, you will find otherwise only in Cebu or Manila. from Tagbilaran, the capital city of Bohol. investment which will be easy to sell in the future, if neccessary. Beside this, the building may be called also "Magnitude 7.2 Earthquake safe". keeps most mosquitoes from lower areas away. people of the other apartments. You may make new friends with guests of the hotel. –What is more boring, than always the same people around the pool? is also open to the apartment owners. –Dine-in and feel like at home! you have the chance to accommodate them in the resort. No need to spend huge amount of money for guestrooms. Enjoy this space on your own! never will be unattended. The resort and the apartments are guarded 24/7. – So it is no problem to leave your apartment alone, even for a long period. 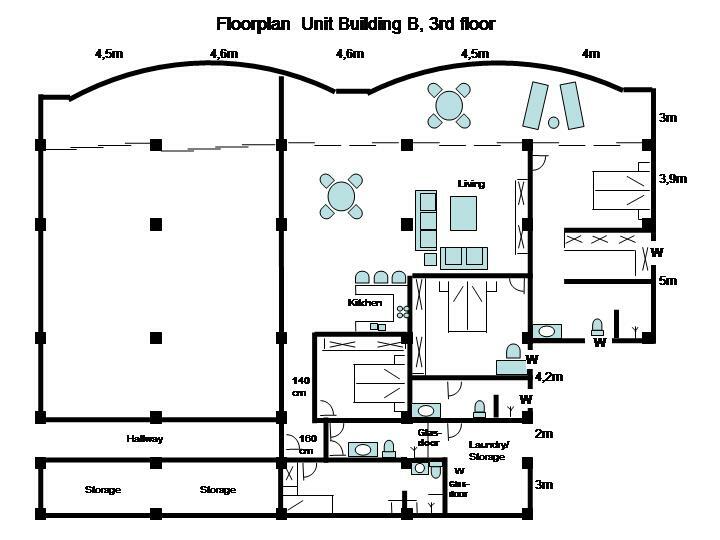 The size of the apartment is 250 sqm. • large sliding doors to the view side. Monthly maintanance fee 11,50 Pesos / sqm (since Sep. 2010 not increased) for guard, pooluse and gardening. only the building on it. The apartment is the solution for you to take part in an upmarket investment. • Remaining balance upon turn-over and signing the Deed of sale.